Ammolite originates from prehistoric marine fossils that date back 71-million years. Tectonic pressure, heat and mineralization formed the gemstone, mined exclusively in Canada. KORITE discovers and hand cuts the ammolite gem to maximize the inherently bright colors which is unique to each gem. This rare, natural expression of the spectacular gem is believed to awaken positive energy with its joyful beauty and ancient heritage. 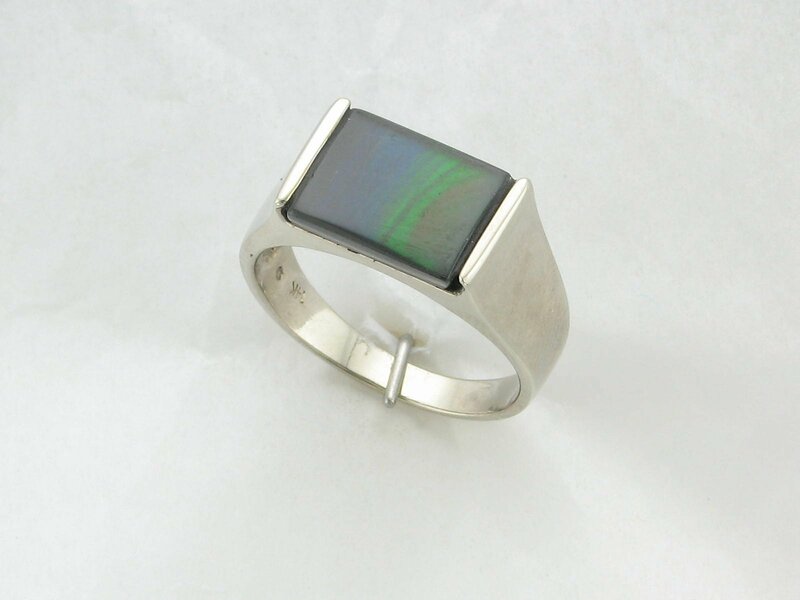 Authentic KORITE ammolite is ethically mined and certified by the Federal Department of Canadian Heritage.